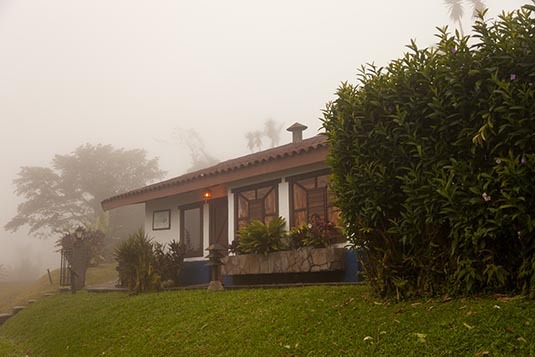 Villa Blanca is the only hotel located within a private cloud forest reserve including a working research station. Surrounded by over 2000 pristine acres of the Los Angeles Private Cloud Forest Private Biological Reserve, one can actually sense the “Magic of Nature”. Villa Blanca, located near San Ramon was the last leg of our Costa Rican tour. How could we depart from Costa Rica, without experiencing the country's one of the many cloud forests? And what could have been better than spending a day at this beautiful hotel & resort with casatas (cabins) surrounded by forests and engulfed in clouds? 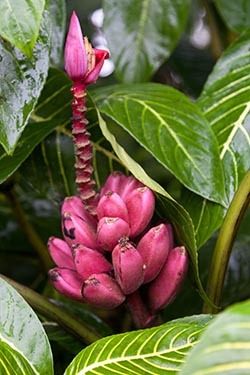 After breakfast at Tabacon Resort, we drove towards Villa Blanca and around noon, we were there. Our cabins (casatas, locally) were spread out and nestled in landscaped gardens. As the name of the resorts suggests, we were indeed walking in the clouds with a visibility of only a few metres. Villa Blanca offers a unique eco-tourism hotel experience. This boutique hotel is the recreation of a 19th century village, featuring handcrafted furniture, and reflects the original farm's concept. Suites offer luxurious whirlpools tubs private porches, and fireplaces. Guest can enjoy the lobby bar, onsite bakery, and restaurant, which uses only the freshest ingredients. Located on the edge of the cloud forest, the well-appointed casitas and honeymoon suites are surrounded by lush botanical gardens. On site is a beautiful chapel, a dairy and Jose Miguel Alfaro Research Station for conservation. After lunch, our guide Karla was all charged up (as usual) to lead us through the forest. 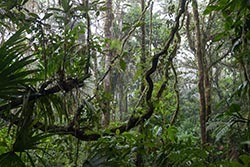 A 2-hour trip exposed us to the amazing world of the plant life in a cloud forest. Rest of the day spent walking in the clouds. The next morning we drove to San Jose airport in about 90 minutes. It was time to bid good-bye to Costa Rica.